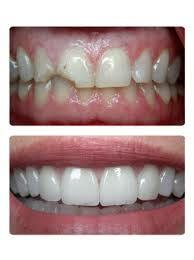 We offer a ‘take home’ tooth whitening system. The kit consists of a inconspicuous and comfortable tray, made individually for each patient, and pleasantly flavoured gels. The gel is placed in the trays and worn for the recomended amount of time, in the comfort of your own home. 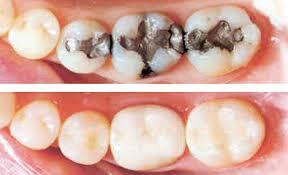 There are a number of causes for tooth discolouration, the most common being the consumption of highly coloured foods and drinks (ie, tea, coffee, red wine) and also smoking stains. 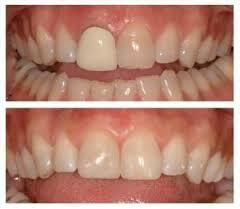 Tooth whitening is a process by which these discolourations are lightened. This means a top quality crown which will last for many years. An inlay or onlay is a type of material which is placed inside or over the surface of a decayed or damaged tooth and are seen as a good alternative to a crown. The main benefit is that they fit in well with the rest of your teeth. The material used is ‘tooth coloured’ and has a realistic appearance which is good news from a cosmetic point of view. 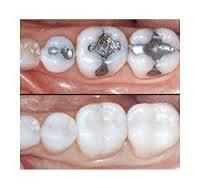 Many people choose this type of inlay and/or onlay as a replacement for their amalgam fillings. They find this type of filling ugly looking and unsightly and prefer to have a type of filling which is hard to distinguish from the rest of their teeth. This sometimes form part of an overall ‘smile makeover’ in which various procedures are performed to improve the look of the teeth and as a confidence boost. 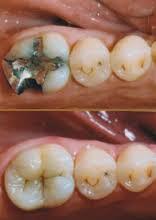 There is no risk of the inlays and onlays becoming discoloured over time. They are easy to clean as part of a daily dental routine and provide extra support for a tooth. These are a popular alternative to the silver amalgam filling and are preferred for their superior function and appearance. 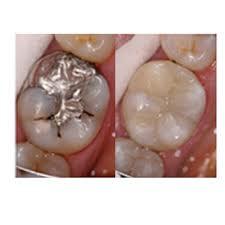 Plus there are people who have concerns about the safety of amalgam fillings in regard to the inclusion of mercury. What Are Direct White Fillings? How Are Direct White Fillings Fitted? This is a skilful procedure which requires a high level of expertise. The dentist has several options in regard to the technique he/she uses which will affect the price. So, the more complex and time consuming the process the more expensive the treatment will be. There is the risk of a filling starting to shrink around the edges which then leaves a gap between the material and the tooth. The problem with this is that it enables bacteria to access that space which can lead to an infection. 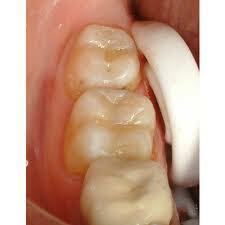 So the filling has to be applied in stages to ensure that it covers the cavity and is both strong and durable. Polishing and/or glazing the filling will reduce the risk of wear and tear, e.g. cracking or splitting. The filling is bulked out with different layers so that it protects the internal structure of the tooth and prevents further decay. The aim is to strengthen the tooth and maintain its function. The procedure for a filling involves you being given a local anaesthetic beforehand. This will help to numb the area to be treated. This may be accompanied by sedation and if it does then ensure that someone will drive you home afterwards. The affected tooth will be restored (e.g. built up) and/or decay will be removed before the filling is placed. Porcelain veneers are worn by many people in order to improve the appearance of their teeth. They are an ideal way of hiding less than perfect teeth which have become chipped, crooked or misshapen due to an accident or injury. They are a good choice if you have teeth which have become stained or discoloured over the years and want a nice white smile. Veneers or to use their other name ­ ‘laminates’ ­ are a thin shell like covering which resembles the shape of a natural tooth and is made from a range of materials. These include ceramic, porcelain and composite bonding, but the most popular type of veneer is porcelain. Cover a crack or chipped tooth plus porcelain veneers can last for up to 10 years which is another good reason to consider having one fitted. Most adults are unhappy with their teeth. Having the perfect smile not only raises our self-esteem but gives us confidence. 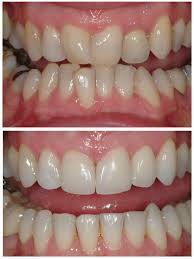 Here at Bridge Dental Practice we can give you the smile you desire at a cost that is affordable. A smile makeover is as unique as the client who requests it. What one patient deems important may differ completely to another. It is a very individual choice and one Bridge Dental Practice are more than willing to assist you on. This will involve cosmetic procedures to improve the look of your smile. Whether it is the perfect white smile makeover or bright porcelain veneers, we can accommodate your needs. Even a simple improvement such as the replacement of amalgam fillings and teeth whitening can be enough to give you the confidence you desire. Your confidence. Your outlook. Your life. And with clear braces, achieving the smile you always dreamed of doesn’t have to be a big deal. In fact, it barely has to impact your day-to-day life at all. Clear braces straighten teeth using a series of nearly invisible, removable aligners that are custom-made specifically for your teeth. As you replace each aligner every two weeks, your teeth will move – little by little, week by week, gradually moving towards the projected final position. Comfortable, clear and removable – Clear braces transform your smile without disrupting your life. Something that over 3 million people worldwide have already discovered. Removable – Clear brace aligners can be removed to eat, maintain good oral hygiene, and you may choose to remove them briefly for a special occasion. Effective – Even before your clear brace treatment is finished, you’ll begin enjoying the benefits of a better smile. Teeth alignment will start right from the beginning. No. More and more adults are requesting orthodontic treatment, either because they missed out as children, or have seen at first-hand what can be done as they follow their own children’s orthodontic treatment! Do Fixed Orthodontics damage my teeth? What is Preventative Dentistry?Preventative dentistry is a term used to ensure your teeth and gums remain healthy and in good condition. Here at Bridge Dental Practice, so it is our aim to guide and work with patients to improve their oral hygiene, diet and smoking. When patients attend the practice for their routine examinations appointments, we are helping reduce the need of fillings, crowns and even removal of teeth. Visiting the hygienist at appropriate intervals can also prevent not only gum disease, but also reduce the chances heart conditions, certain cancers, still births. Once you have seen one of our dentists, you can see a hygienist as often as you like. For children, the best treatment in preventative dentistry is fissure sealants. A fluid like material is flowed into the pits and fissure that appear on the biting surface and set with a bright light. This is a wonderful way to prevent the chances of receiving fillings. Of course the most definite way to look after your children teeth is to be aware of their sugar intake. 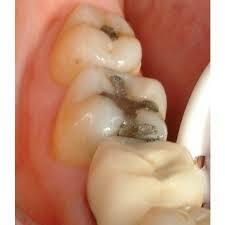 Children teeth are more prone to decay then adult teeth. Please look out for those hidden sugars! In adults who like to drink fizzy drinks, beware of the acids within these drinks. These will erode your teeth. This causes sensitivity and a higher need for fillings. This is called ‘dental erosion’. Smoking is the main contributing factor to gum disease and mouth cancer. After the reduction in smoking intake, patients will start to notice small changes like the taste of food, fresher breath, less staining. With the help and guidance of your dentist and hygienist, your gum condition and bad breath can improve greatly. Use a good fluoride mouthwash a little while after tooth brushing. Straight after cleaning will remove the fluoride that is already coating your teeth. Rinsing a short while after will aid the more fluoride which will reduce the decay rate on your teeth. Floss daily – this will reduce inflammation between your teeth and also reduce bad breath. Sugar free gum – stops the formation of plaque on your teeth and prevents decay and erosion. Start to reduce your sugar in tea and coffee, little steps lead a long way. Chance your tooth brush or electric tooth brush head every 3 months – bend bristles don’t clean as well. Sensitivity – use a good sensitive toothpaste at night. Use it like a cream and smear all over your teeth before bed. This is more intense than just brushing alone. Clean your teeth after a meal. All that lovely fluoride has just been washed away by your cornflakes. At Bridge Dental practice we offer both NHS and private dentures. When you’re ready to replace missing teeth, you have a number of potential options available, each with its own set of advantage and disadvantages. Replacing your missing teeth is a big decision and it is important to consider several factors.You don’t have to make this decision alone. Your dentist can help you assess the choices in light of your clinical needs, personal preferences and financial considerations, and help you determine which one is best for you. If you have any questions regarding a certain treatment please do not hesitate to contact a member of our reception team. Your ultimate comfort is one of the most important considerations when restoring your missing teeth. Fixed restoration such as bridges and implants will usually feel much like your natural teeth when finished. When considering a removable partial, many people find the flexible denture to be the most comfortable option, and the final restoration can be made very quickly. While the cost is often higher than a partial made with visible metal clasps, the results of the partial are beautiful, and patient satisfaction is very high. The flexible partial denture involves only non-invasive procedures and gives you confidence in your restoration while talking, eating and most importantly smiling. If you can’t bear the thought of visible metal clasps or a series of temporaries that change with each appointment, flexible partial denture is an option that looks very natural and will stay beautiful and comfortable for years to come. Even fixed restorations that look good at fist could deteriorate over time due to gum recession or changes in your mouth. Denture acrylics and metal alloys may be prone to breakage and fracture over the course of time. Flexible partial dentures can be rebased and have teeth added to it if modifications are necessary over time. 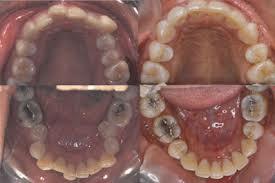 If cost is your primary consideration, removable restorations are the most affordable solution. Flexible partial dentures combine great value with excellent aesthetics that often rival the appearance of more expensive fixed restorations. Bridge Dental Practice now offer dental implants. Contact us on 01926 426232 for more information. Nature has created the most effective building blocks and any model based on nature’s solutions aims to deliver quality. A dental impant is a small part made of titanium or titanium zirconium which is placed in the jaw bone in place of the missing natural tooth root. The implant can be surgically inserted under local anaesthetic on an outpatient basis. 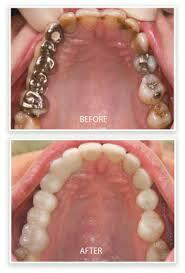 Titanium is generally well-tolerated by the human body and bone has been shown to bond well to titanium. Once healed, the artificial root acts as a base for fixing individual crowns and multi-tooth bridges. The implant can also be used as an anchor for entire dental prostheses.